Today I wanted to talk about how having an active social presence can improve your search engine rankings. Over the years the search engines such as Google have used different criteria in order to rank web pages. 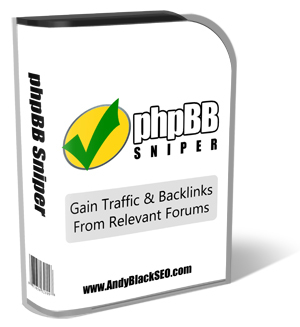 In recent years we have seen backlinks play a dominant role. Having a vote from one website to another was a good way for the likes of Google to determine the relevance and “importance” of a web page or website. The problem with backlinks alone is that they were easy to “game”. Noticed I said “were”? That is because Google have tightened up their algorithms and people are not able to simply blast low quality links out to “low quality” sites. Backlinking is still vital but you need to build links on quality sites based on quality content. Recently we have seen a shift towards “social signals” with regards to SEO and rankings. Social activity is created by REAL people. People who also have their own “social profile”. This makes it much easier for Google to see actual buzz created by people rather than “faceless” websites. When a person LIKES your web page or becomes associated with you on these social platforms it expands your own social circle and allows Google and the other search engines to see real activity based around you and your websites. Today I want to tell you about two things. The first is about a new software tool that has only just gone live (28th February ’13) called Easy Social Ranker. The second is a method that you can apply today that will allow you to use this software to not only strengthen your Google Authorshop but also increase your search engine rankings. Easy Social Ranker is a brand new software tool that has “only just today” being lauched and I wanted to recommend this to my subscribers because I am fully aware of just how powerful this can be. Especially moving forwards into 2013 and beyond. This software allows you to manage multiple accounts for Facebook, Twitter and Google+ all from one desktop application. 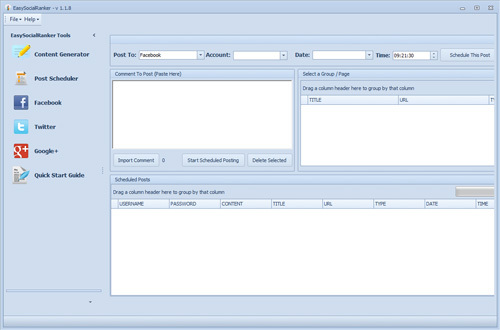 It allows you to create posts and tweets and then schedule them so that they are published on a sepcific date and time. Google pays close attention to social activity. If you have a few sites related to dog training and you “regularly” post or tweet about “dog training” then this will increase your status and authority as an author and will help to push your sites further up the rankings. This is where Google authorship comes into play, which is something that Google is starting to focus on more and more. Google Authorship is where an author of a website or web page can claim authorship of “said” website or page. This allows Google to group together blogs, sites, articles, videos and pages together that have been created by a specific author / person. This means Google can identify the level of expertise or authority this author has within his specific niche. The better the author, the higher the ranking and more traffic they will send you. It’s that simple! Your Google+ account then gives you the option to “group” together ALL of your websites… and social profiles. Notice the second part there? Social profiles. This means that everytime you share niche specific content or news with other like minded people on social platforms, your status as an author is becoming stronger. Factor in other like minded people liking or sharing your content.. often containing links to your sites and posts… well, this is where the magic happens. Ok, enough of me rambling on… let’s take a quick look at the software. Above is the post scheduler. You will see on the left hand side a number of options including “Facebook”, “Twitter” and “Google+”. If you click on those you are able to quickly enter your account details and add those accounts to the software. Once you have added your accounts you can quickly join or add groups within the software. Create posts or Tweets and then schedule them to be published on a specific day and time. This allows you to become extremely active on the three top social plaforms without taking time out of each day to do these manually. You can spend anything from 15 minutes upwards and setup posts and Tweets to go out all week. Social activity is high up on my list and I for one will be taking advantage of this software. 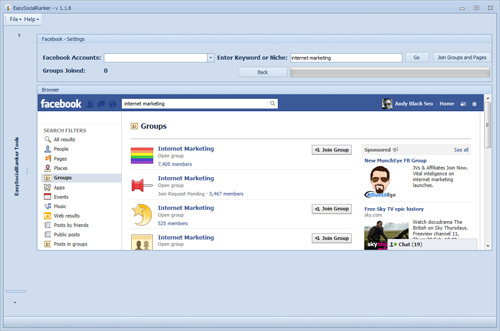 Above you will see a screenshot that allows you to quickly join niche related groups and pages. This will help Google to see what you are “genuinely” interested in. Of course, this is where you will join a number of groups etc that are related to your exact niche. You are then able to engage in some of these groups too which increases your social activity. The software even has a built-in content generator that will find you snippets of content based on a keyword that you enter into the software. I personally will probably not use this particular feature. It doesn’t take long to write a couple of “really” specific sentences that relate to you or your sites. However, the option is there to pull content and even spin it. I’d rather then that extra few minutes though and add the content I want to add. Ok, with this blog post I wanted to share a simple to follow strategy that you can apply today using this software. You can aplly this same strategy without the software but it will be much much quicker with it and if you are wanting to push your online business forwards then I’d recommend getting this. Create a Google+, Twitter and Facebook account. If you are in mltiple niches you want to set up one per niche. The idea of Google Authorship is that you are are seen as an xpert and not a jack of all trades. Complete your “profiles” such as add a profile photo, add content to your About Me page etc. Remember to keep this “niche specific”. Include niche keywords in there but kee it all natural. Make it engaging. The more nice specifc you are, the more Google will know what sort of author you are. Add your Twitter and facebook profile to your Google+ profile. Under the “Other Profiles” section. This will automatically tie up all three social accounts. You simply edit your profile and add your user profiles to that section. If you have a niche specific Ezinearticles profile or Youtube channel etc then also ADD those. Add your “niche”websites to the “Contributor To” section. If the niche you are building your Google Authorship around is dog training then add any dog related blogs or sites you have to that section. To complete the authorship though you need to claim ownership of these sites. This is EASY to do…. Simply add the following html to the header of your homepage and re-upload…. ** Make sure you change the Google+ URL to your OWN Google plus ID which you can get from your Google+ account. It’s easy to link to quality niche websites and tell Google that they belong to you but they won’t believe you. You need to add the above html snippet with your ID to PROVE that they are your sites. Find like minded people and experts within your niche and send them a friend request… add them to your cirlce etc. Lots of these people will see that you are interested in the same topics / business and will then add you to their circles. This gives Google a better overview of your “expert” status. By getting other experts to associate themselves with you it makes you more of an expert in the eyes of Google. Add all of your social accounts to Easy Social Ranker and start sheduling posts and Tweets. Some of these will get LIKED, re-tweeted and SHARED which will crank up your social presence and activity. The result…. a one way ticket to high rankings. This is an addition to building quality links and publishing quality content. If you want to drive your social signals through the roof and decide to purchase Easy Social Ranker vi my link below then you will automatically receive a copy of my BRAND NEW vBulletin Sniper software tool. It is a simple software tool that will find FRESH, relevant forum posts that are specifc to your target keyword. Google crawls “active” forum threads almost constantly so by joining in relevant discussions for your niche and keywords will further enhance your “expert author status” with Google. TIP: Once you leave comments in these FRESH active forum threads you have the option to do TWO things. Add a forum signature that links back to your sites and web pages (if they allow it). Scondly, add your Forum user profiles for those relevant forums to your GOOGLE+ account. This means every post you make in these topical discussions will automatically link to your Forum profile which is also linked to from your Google+ account. See what is happening here? You can also “usually” link to a website fromn your forum profile too. Please note that this is completely different to auto creating thousands of forum profiles as these profile will actually have valuable posts linking to them. That is the difference! I wanted to create a simple tool that can simplyfy the process of engaging in communities and increasing your authorship status. Hence why I created this tool for those that purchase Easy Social Ranker via my link. Any questions regarding how to implement the above plan then please leave a comment below and I’ll do my best to help you. Thanks Andy.Good blog post and plan of action. The fact that you took the effort to make the post and it was good info was enough for me to decide from whom I wanted to buy. Hey Rick, thanks for your comment. Yeah, I’m going to try harder to provide you guys with more content rather than just recommending products that I think are good. What I wanted to do with this product was offer a good strategy that my subscribers could apply. I realise not everyone will have a plan of action when they buy software tools or plugins so wanted to go that extra mile here and provide some useful content. I’m glad you liked it. I’m starting to get my hands dirty again with regards to SEO, conversions and “traffic tactics” so plan on sharing lots and setting up some groups. Rick, if you or anyone else have already downloaded the bonus software “vBulletin Sniper” then re-dowload it as I found an issue with it. In fact… I’ve spent the last couple of hours pulling my hair out over it but wanted to get a working version uploaded before switching off for the day. New version has now been uploaded. I have searched everywhere and cannot see how to “Add your Twitter and facebook profile to your Google+ profile. Under the “Other Profiles” section. Where is the “Other Profiles” section to be found? I’m really getting into curated content currently. If I create a curated post in my blog will I be able to copy and post it into the Easy Social Ranker software to distribute socially? Yes sure. You can take your new “curated” blog URLs and create a number of social posts and then schedule them to be drip fed each day to keep a nice flow of social activity. Maybe I’m missing something but I have my social accounts connected so when I publish in Google+ the same content is automatically published on Facebook and Twitter. So, why do we need this tool? Just for scheduling the posts? And a second question: In the above scenario, wouldn’t we get duplicated posts if using this software when the accounts are connected? Great question. If you want to syndicate the same posts at the same time then that is fine. I personally might make different posts on the different social platforms. For example you may post something on Facebook that is different to your Tweet content. Also, the scheduling feature here is key. You could schedule a weeks worth of posts and tweets in one session which is particularly good if you have different social setups for different niches. 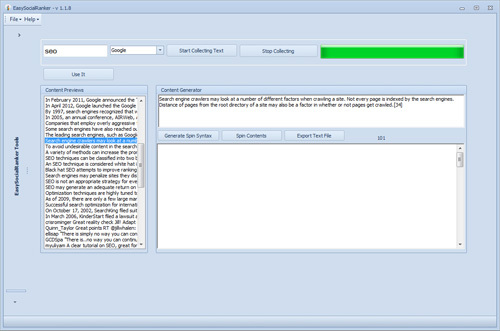 vBulletin Sniper is just a simple software tool that will find “active”, relevant forum posts that are relevant to your keyword or niche. So you can engage in conversation, gain trafic, backlinks and build up your Google Authorship. If you bought via my link you will see it on your JVZoo access page.